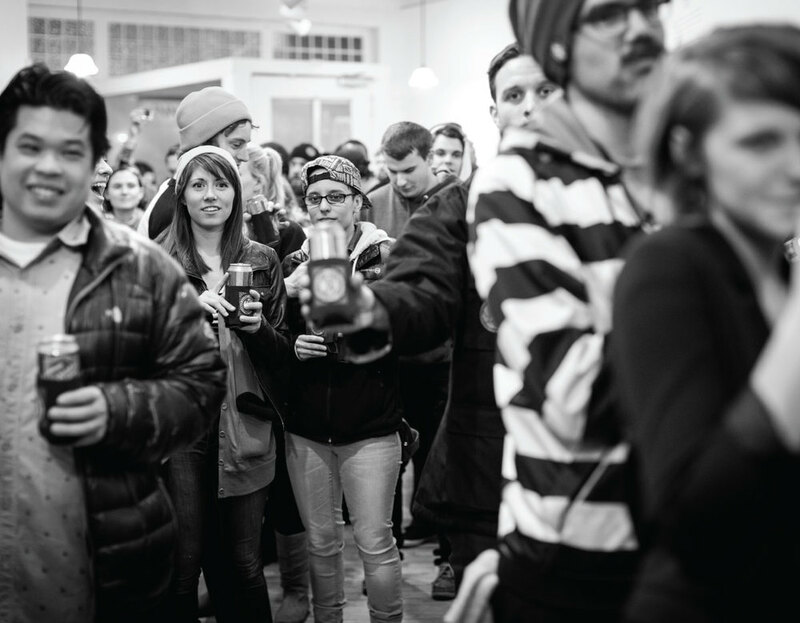 To celebrate the milestone 30th issue of Steez we decided to host an art show at Mingo Gallery and Framing. The gallery already had a show up but were willing to accommodate for a one night event. 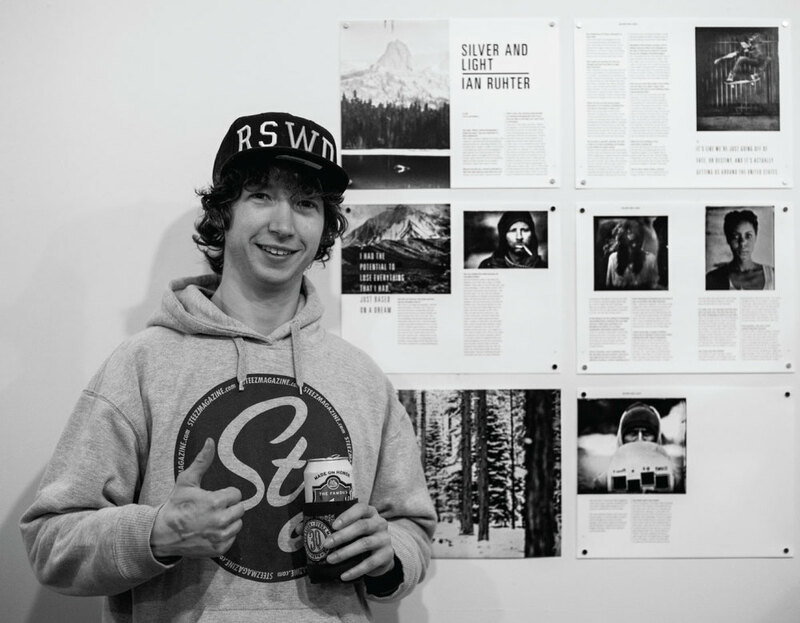 Photos and artwork from the 30th issue as well as layouts were featured on the walls. The event had free food and beverages from sponsors and we hired a DJ to spin vinyl records for the night as well. There were several limited edition product collaborations given out for the 30th including a custom hot sauce and whiskey bottle combination as well as a custom leather embossed knit hat with Bern Unlimited. All attendees received a collaboration Narragansett patch kookie as well and all of the artwork was taken off the walls at the end of the night and given away to everyone in attendance.